The Torah teaches us that no element of life is devoid of meaning and purpose, and that every interaction is divinely designed. Relationships are part of an important process that leads to completion (shleimus). We, as human beings, have a variety of emotions and personality styles that impact the way we think and feel about the people in our lives. Our relationships have real and measurable consequences on our lives and the lives of those around us. The quality of our closest relationships profoundly affects how we feel about ourselves. The way we communicate, both verbally and non-verbally, affects the emotional, cognitive and physical development of our children, as well as our own physical and mental health. Child-rearing is complex. Any parent can attest to the many rewards and equally distressing moments. Volumes of theories and practical approaches will not suffice to adequately explain parenting. Each child is a unique, dynamic individual who changes almost daily. For parents to properly guide their children, it is important to consider the environment that the parents create at home. I will primarily focus on the communication style between the adults, which is the template for the children’s present and future relationships. 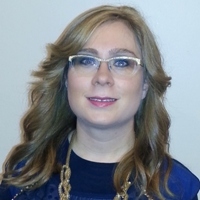 Rebbetzin Chanie Geisinsky, my mashpia, describes successful child-rearing as 50 percent consistent chinuch (Jewish education) and 50 percent shalom bayis. A healthy relationship between you and your spouse is critical to the success of every aspect of your child’s healthy development, both physical and spiritual. Treating your spouse positively in front of your children is paramount. When husband and wife get along and demonstrate respect for each other, it helps the children get along better, and also lays a foundation for children to respect their parents. It is acceptable to occasionally express disagreements amicably in front of children. Couples should definitely discuss many issues in the presence of their children. It teaches the children how relationships work. However, never let your children hear the two of you argue in a state of rage or anger; this is toxic! Seeing parents in such a state makes children feel terrified, unsafe, and heartbroken. In addition, when one parent yells and shames the other parent, the children witnessing these events feel ashamed as well. Applying this to parenting, it could be added: do not embarrass your children, do not take your anger out on your children, and do not ignore the outcries of your children, even if you feel consumed by your suffering within a painful marriage. When the situation has calmed down, the parents can work together on reducing the amount of stress in the home, making the other aware when they speak aggressively or act tense. For instance, a parent may say, “I think that we can both work on decreasing the stress in this home. Let’s help each other act more calmly in front of the children, especially when we have to discipline them.” By preparing a strategy in advance, a person can prevent many conflicts. If you cannot come up with an amicable solution, ask the advice of a rav or a spiritual advisor who knows your spouse. The study led by Dr. Nicholas Walsh, lecturer in developmental psychology at the University of East Anglia, used brain imaging technology to scan teenagers aged 17-19. He found that those who experienced mild to moderate family difficulties between birth and 11 years of age had developed a smaller cerebellum, an area of the brain associated with skill learning, stress regulation and sensory-motor control. The researchers also suggested that a smaller cerebellum may be a risk indicator of psychiatric disease later in life, as it is consistently found to be smaller in virtually all psychiatric illnesses. Dr. Walsh said: “These findings are important because exposure to adversities in childhood and adolescence is the biggest risk factor for later psychiatric disease.” Also, psychiatric illnesses are a huge public health problem and the biggest cause of disability in the world. Fighting is an indication that your communication isn't working. 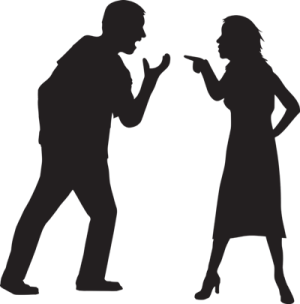 When one or both parents are tired or stressed, an occasional dispute is understandable. However, ongoing conflicts are cause for concern and need to be addressed seriously. A teacher moved to a town and began giving a shiur, which quickly became popular. One of the established teachers thought that the teachings were cultish, so he slandered the new teacher and urged people not to attend his shiur. One rainy day, as the established teacher was walking down the street, he saw the new teacher slip and fall in the mud. The established teacher hurried over to him. He bent down as if to help the fallen man, but instead picked up some mud and threw it at him, hissing disgustedly: “You deserve it!” Then he walked off. The other teacher was taken aback. For a moment, he doubted the new teacher’s sincerity, but searching the man’s mud-streaked face, he saw only true humility. Astonished and ashamed, he thought to himself, ‘This is a G-dly man before me!’ He embraced the new teacher and said, “It is I who ought to do teshuvah.” After that, the relationship between the two men improved. They began studying together and became close friends. This sort of self-reflection is especially important in regard to your relationship with your children. When they behave disrespectfully to you, stop and think to yourself: “What have I done to cause them to be in this mood?" There is a second lesson to glean from this story. Every day children are under pressure from parents, teachers, bus drivers and siblings. They “fall in the mud” many times over the course of the day. When your children come home, consider that they may have had many “muddy moments” before coming through your door. Treat them with compassion. Do your best to help them feel better. At the very least, do not throw more mud at them. Picture yourself remaining calm in front of your family, even when you feel like indulging in an emotional outburst. Concentrate on how precious your family is to you, until you can control the impulse to act unkindly towards them. Plan to avoid fighting in front of the child(ren). If you think you might give in to your urge to fight, turn around and walk away. Recognize that when you don’t walk away, you are putting your need to vent ahead of your children’s well-being and peace of mind. After you walk away, write down all your thoughts and feelings on the situation, so you can discuss it later when the children aren’t around. Have your discussion somewhere private, with minimal distractions and interruptions. Deal with your spouse closely and personally. Express your needs to your partner calmly and clearly. Be specific; he or she may not know what those needs are. Work out the problem with cooperation, not competition. · Your family members are the most precious part of your life. · Raising your voice in anger, speaking sarcastically, or otherwise belittling your spouse or children is very damaging to shalom bayis and to the emotional health of your family. · Parents should model the qualities of thoughtfulness, sensitivity, and generosity that will set the standards for the children. · Consider that if your children treat you disrespectfully, you may have done something to warrant it. · Children experience many difficult moments throughout their day; make your home a place of happy moments for them. · Professional counseling that is sensitive to Torah ethics and values may be useful in helping you achieve healthier perspectives on your marriage. E-mail communication from Reb Sholom Brodt, teacher at Yeshivat Simchat Shlomo in Jerusalem, March 18, 2012.
is a psychotherapist, lecturer and author whose specialty is in working with children, adolescents and families. Chana directs Empowerment Insight—Na'aleh, a group practice in Brooklyn, NY that focuses on promoting personal strength in children and helping them realize their potential. She integrates Focusing with Children as a technique to build resilience, competence and empathy, based on an understanding of somatic/bodily felt life and inner child experiences, both from an experiential and theoretical point of view. Chana is uniquely trained in Filial Therapy, where she transfers the child-centered approach to parents who become the change agent for the child to develop self-mastery, while providing limits for children. She has presented at nationwide teleconferences and was featured on radio shows, including JROOT radio. Chana can be reached at 203-400-3197 or chanakaiman@gmail.com.